Designed as a place to meet, discuss and discover, the Salon du Chocolat Professionnel offers a comprehensive overview of the market with the entire chocolate and cocoa industry in attendance: producing countries, couverture chocolate, ingredients and raw materials, decorations for chocolate and pastry, laboratory equipment, ustensils, packaging, shop fitting and materials, services, raining and employment, etc. 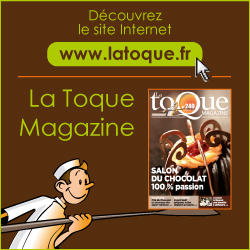 The Salon du Chocolat Professionnel is the only meeting place for the chocolate industry and is a unique opportunity for chocolatiers, pastry chefs, confectioners and ice cream makers, as well as industrialists, distribution networks, hotels and restaurants to find all of the industry's key players under the same roof. 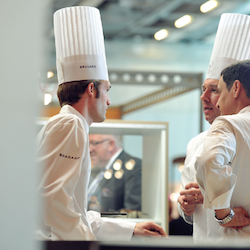 In 2015, the Salon du Chocolat Professionnel will be replaced by a new space dedicated to BtoB within the Salon du Chocolat Consumer Show (28 October - 1st November 2015) that will gather a selection of suppliers highly involved in the chocolate/cocoa industry. Reserved for professionals and exhibitors only, this platform will be a great opportunity to meet the industry’s key players. 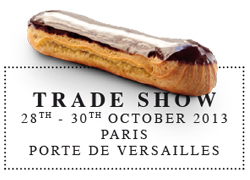 The Salon du Chocolat Consumer Show will also host from 28th to 30th October the World Chocolate Masters Final, the premium international competition devoted solely to the art of chocolate organized by Cacao Barry®.